Vine shut down in 2016. However, these digital artifacts would go on to become seared into internet history. These essentials make up part of the language of meme culture as whole. Although they have been overused and aged out they are still important pieces of internet history. They have shaped us as a generation and already are powerful enough to hold a nostalgic factor. 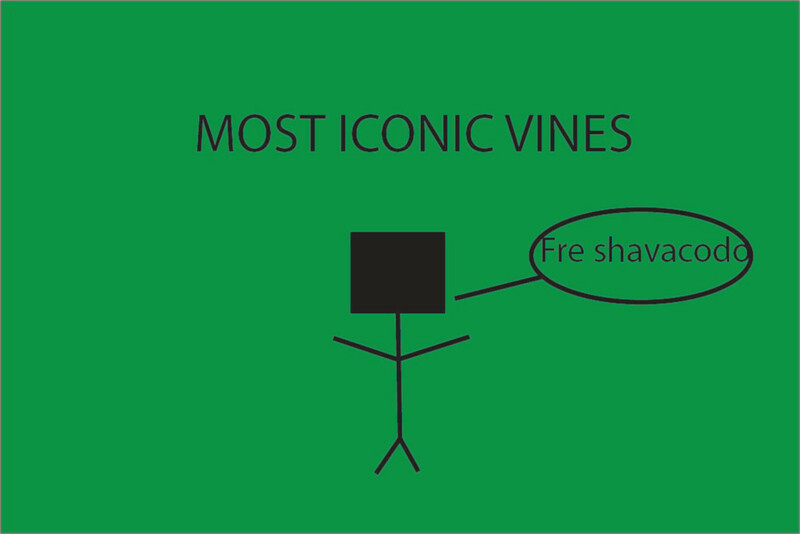 I remember the days just like it was yesterday when I had a Vine myself. I was so determined to become Vine famous. I put a lot of time and energy into my craft. But, I now realize that the most memorable Vines weren’t staged but candid moments of spontaneity. These little moments of life that are so precious and remind us what it means to be human. Let’s encourage educating the next generation on the ines that are near and dear to our hearts. Squidward Hits the Dab. Iconic in every sense of the word. Put all those Jr. High kids onto the dab craze. Rumour has it that Squidward doesn’t dab anymore, even to this day. Everything a tragic story needs. Hunger, broken relationships, sorrow, violence and an unsatisfying ending. A modern day tragedy in every sense of the word. An all around great romance. Oover javer finds the soulmate. A great feat of athleticism that shows off how impressive the human body is. Back at it again at Krispy Kreme will always make you want to come back to this vine. Trey with the classic underdog story. A charming kid that makes America root for him and his mad shoe game. Quite possibly the greatest prank of the 2010s. It is timeless. Country boys getting the anthem they deserved. Little did the Del Taco worker know that his awkward spacing in letters would create a classic internet phrase forever. The set up, the punchline. 10/10, comedy gold. And that’s a wrap on some of the foundational building blocks of Vine. May it always be remembered and revered. May they come up in daily conversation and become ingrained in our modern language.